Reminiscent of a storyline from Call the Midwife, Peggy Brannigan - part of a devout Catholic family - was devastated when she became pregnant as a result of an extra-marital affair with a black junior doctor. Unwilling to have an abortion or to have the baby adopted, Peggy came up with an audacious plan to keep her child. When Tim was born, hospital staff smuggled him into St Joseph's Baby Home and told the rest of the Brannigan family that the baby had been stillborn. One year later, Peggy adopted Tim and brought him to live with her family in the Falls Road area of Belfast. It was 1967. 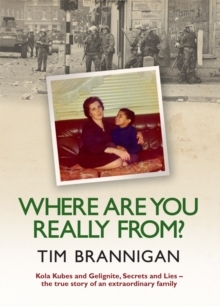 Told here for the first time, this is Tim's extraordinary story, describing in vivid detail what it was like growing up black in Belfast during the Troubles in the 1970s and 80s, his five-year stint in jail for hiding weapons on behalf of the IRA, his coming to terms with the true circumstances surrounding his birth, and his desperate attempts to trace the father who abandoned him. 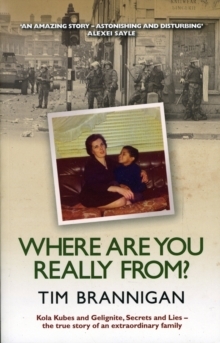 Where Are You Really From? is a fascinating and powerful memoir about one man's struggle to establish his own identity and a moving tribute to the woman who risked everything to keep her son.